Dr. Ball is Senior Advisor, Healthcare and Life Sciences Institute, IBM Research, Professor Emerita, Johns Hopkins University School of Nursing, and Faculty Member, Division of Health Sciences Informatics, Johns Hopkins School of Medicine. She is also a member of the Institute of Medicine, and serves on the Board of Regents of the National Library of Medicine. Dr. Ball has served on a variety of boards in the area of health information technology, including President of the International Medical Informatics Association (IMIA), and a board member of the American Medical Informatics Association (AMIA), American Health Information Management Systems (AHIMA/FORE), and Co-Chair of the Health Information Management Systems Society (HIMSS) Board. 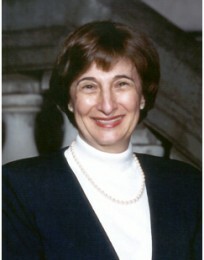 She received the Morris F. Collen Lifetime Achievement Award from the American Medical Informatics Association (AMIA), and is an honorary member of Sigma Theta Tau, the Honor Society of Nursing, and the Medical Library Association (MLA) and most recently was inducted as an Honorary Fellow of the American Academy of Nursing (AAN). 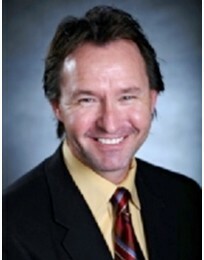 Dr. Ball is the author/editor of more than 20 books and over 260 articles in the field of Health Informatics. Her book, Consumer Informatics, received the HIMSS 2005 Book-of-the-Year Award. The third edition of Introduction to Nursing Informatics was published in 2006, and a second edition of Aspects of Electronic Health Record Systems was published in 2007. Her previous book entitled Nursing Informatics: Where Caring and Technology Meet has most recently been translated into Chinese and Portuguese, joining the family of other translations into Japanese, German, Korean, and Polish. Jim Hayden is President and CEO of Jim Hayden & Associates. He also serves as Chairman of the Board for many non-profits, including Chandler Regional Medical Center, Mercy Gilbert Medical Center (Foundation and Community Board), and Boys and Girls Clubs. Prior, Hayden was Regional Vice President of the largest ambulance company in Arizona, Southwest Ambulance. 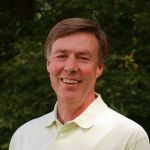 Mr. Muller has 30+ years experience in venture capital and private equity serving as a senior officer or partner in five (5) institutional venture capital funds. His expertise includes building several successful portfolio companies in the healthcare arena as lead investor and serving as the Treasurer/CFO of several venture capital funds. He was also the CEO of an emerging growth company, and an Investment Advisor to a Fortune 50 Pension Fund on its private equity fund investments.